A few more words on motivation. 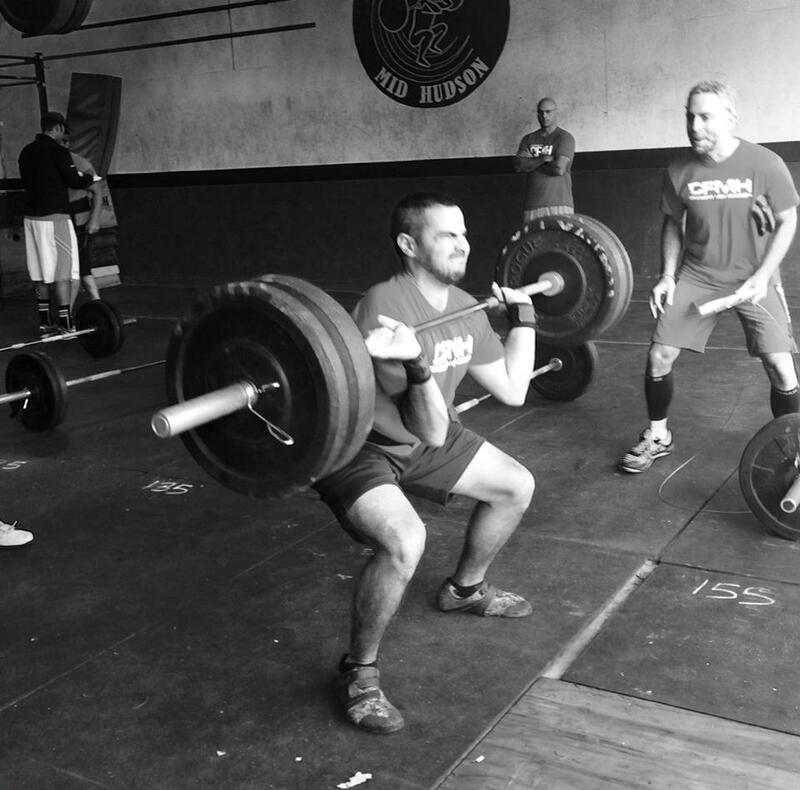 After posting my last blog I competed in Crossfit Mid Hudson’s version of Festivus, a competition designed for Crossfit newcomers. As the day unfolded I realized the line between my words and life had been obliterated. My world became pure motivational inspiration. The first workout of the competition was called a Thruster Ladder, pictured above, the challenge being to see how far we could get by doing one thruster a minute beginning at 65 pounds and increasing 10 pounds every minute until we got to 155 pounds. When you had either completed or failed at your highest weight, you filled the rest of your minute with single jump ropes, adding to your score. Until the competition, the most weight I had ever thrust correctly was 85 pounds. Anything else seemed physically impossible. 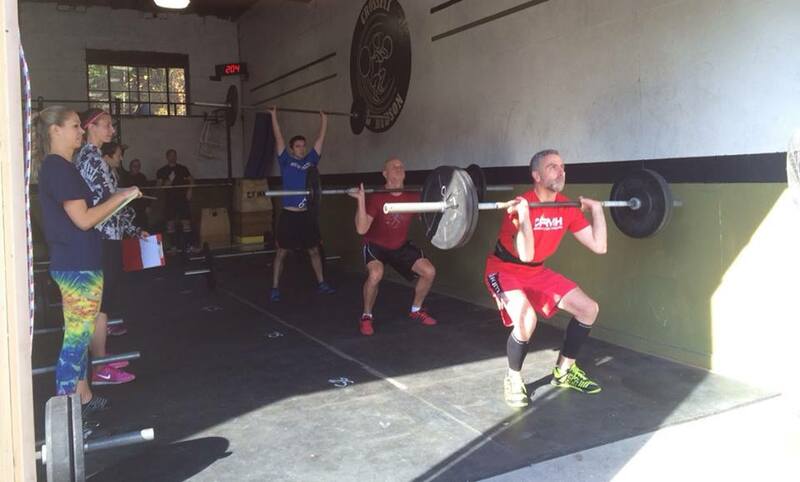 With the barbells lined up on the floor in 10-pound increments, I went first in my heat. Every minute on the minute the assembly line of competitors accomplished the thruster at hand then moved like clockwork to the next one. It was all fun and games until 105. At 105 pounds I started to think. I was in the ‘personal best’ zone now. Not exactly being known for my Olympic weightlifting skills I began second guessing my ability to blaze these weight trails with my compatriots behind me. My inner voice was not fueling my fire. However, every other voice in the room was. My team of crossfitters willed me on. There were no doubts in their minds I would complete the next thruster and the next and so on. Their decisiveness drowned out my inner voice, replacing it with theirs. As I approached the bar I knew I would succeed – no doubts. Looking down at the 135-pound bar it occurred to me this had been a significant weight for me six months earlier when I had clean and jerked it as a new personal best. That was then and this is now, I thought, piece of cake. I brought the bar up and went into my squat clean and managed to stand tall. When I pushed the bar up to get it overhead it stalled at eye level. I pushed again to no avail and dropped it. My first failed attempt. If you had asked me what my strategy was at the beginning of this event I would have told you as soon as I failed on a lift I would immediately begin my jump ropes in order to maximize my score. Everything was different now. My people were behind me 100%, encouraging me to focus, breath, take my time, and get that damn weight up! I glanced at my jump rope and smiled. Hell no, I would lift this weight and move on to the next. I did just that. One hundred and forty five pounds held the same fate for me, a failed attempt followed by success. The crowd’s cheer exploded as I realized I was performing far beyond the expectations of everyone – except everyone around me. I had become an extension of them, powerless to do anything but complete the task at hand – do the weight. One hundred and fifty five pounds proved to be my new nemesis. Two failed attempts jettisoned me to my jump ropes, where I vowed to tangle with my new foe on another day. All day long, three separate events with four heats each, we took turns inspiring and being inspired. As I judged Will Santiago (black and white picture at top) through his paces I became his most vocal fan, urging him on and becoming one of many voices in a chorus that had decided he too would power through each challenge that lay ahead. If motivation and inspiration could be bottled, we could have stored away pounds of it at our Festivus event. The feelings were genuine, specific, and bountiful. We were swimming in a pool of encouragement, every one of us drenched in it like the sweat that poured from our bodies. I can’t emphasize enough to you to make sure you are putting yourself in similar situations no matter where you are, work or play. You are worth nothing less than someone’s complete attention and investment, and they are worth yours. This entry was posted in achieving goals, Athlete Training, athletic performance, Coaching, leadership, management, management style, Management Training, personal best, personal development, team building, Uncategorized and tagged Competition, Crossfit, Festivus, inspiration, Leadership, motivation, Olympic weightlifting, personal development, Skipping rope, Sports, Weight loss. Bookmark the permalink.